To buy something you don’t really need when you’re stressed, bored or needing a boost of self-esteem is classified as emotional spending. Impulse buying, while giving you a temporary emotional boost, can wreak havoc on your budget and prevent you from having money for future needs or to put in savings. Learn how to avoid emotional spending so you can also help avoid the feelings of guilt and the eventual credit card debt that can occur. Acknowledge the triggers that lead you to indulge in emotional spending so you can consciously avoid them. Much like someone watching their weight makes the conscious decision to avoid the cookie or candy aisle at the grocery store, you need to recognize what tempts you so you can avoid it whenever possible. If perusing the pages of fashion magazines makes you want to rush out to the store to buy the latest high-dollar styles so you can look like the beautiful models in their pages, the magazine may have done its job, but you may need to avoid such publications. 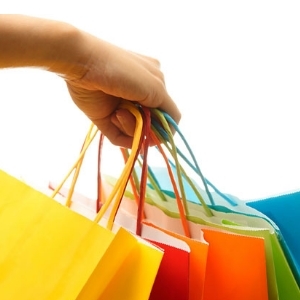 If going to the mall and window shopping with a particular friend who always has plenty of disposable income results in your going home with bags full of things you don’t need and an empty bank account or more credit card debt, then stay away from the mall. Change your habits by finding other ways to spend your time so you’re not spending your money haphazardly and irresponsibly. Instead of going to the mall with your deep-pockets friend, find other ways to spend time with that particular friend. Try activities such as a regular Saturday morning breakfast at a favorite diner, a movie and ice cream after once per month, or a weekly walk in the park. If fashion intrigues you, instead of looking at fashion magazines that tempt you to buy, take a sewing class so you can learn to make your own fashions. Or you can check out books from the library about fashion design and the people behind the industry. Track your emotional spending totals for a week by keeping your receipts and circling everything you didn’t absolutely need to have, things you bought on a whim. Include even small purchases the $6 ink pen when you already have a drawer full of pens, the new $10 billfold you bought because it was on sale when you already have a couple of nice ones, or even the favorite movie in the $5 DVD bin at the discount store when you’ve seen the movie hundreds of times on TV. Emotional spending on small ticket items can be just as destructive as large ticket items in the long run because those small things add up more quickly than you realize. The little things might be fun or nice to have at the moment, but will you even care about them tomorrow? Or will you just have buyer’s remorse? Plan out a workable monthly budget that includes setting aside money for an emergency, for something big you want to save toward, and for your regular necessities, and then stick to it. Then budget a small amount, after accounting for the more urgent and necessary things, to spend on the occasional impulse buy. Buying on impulse every once in awhile, a small weekly or monthly treat, is fine as long as you plan in advance for it. Think before you buy. Always look back to your budget before you spend money on something you don’t need. Ask yourself a few honest questions before spending money on an impulse buy: “Do I really need this? Can I live without it? Will this truly improve my life having this?” If you answer “no” to these questions then you’ll probably feel guilty later if you do spend money on the item.